According to the Feeding Tube Awareness Foundation, nearly 190,000 children in the United States get most of their nutrition through a feeding tube. This means that children 18 and younger make up 40% of the tube-fed population. Children require a feeding tube for many reasons. Most of them have a medical condition that makes it impossible them to eat by mouth or digest their food properly. Some children with certain medical issues can eat some food by mouth, but they don’t eat enough to get all the calories they need. There are over 300 medical conditions that may require a child to have a feeding tube in order to get the proper nutrition. Some of these conditions include cerebral palsy, abdominal migraines, cancer, congenital heart defects, and gastroparesis. For parents whose child does need a feeding tube, their pediatrician will most likely prescribe commercial formulas, such as Pediasure. While these formulas can help children get enough calories, some parents are concerned about the high sugar content. Other parents simply want to feed their child real food and a feeding tube should not stop them from getting it. For these reasons, many parents choose to feed their tub-fed child a blenderized diet. When a child is on a blenderized diet, it means their food gets mixed together in a blender and then given to them through their feeding tube. When a combination of the right foods gets blended, the child receives all the necessary proteins, healthy fats, and carbohydrates through their feeding tube. They also get the necessary vitamins and minerals, although some parents do give their child a multi-vitamin, along with other supplements, such as probiotics. 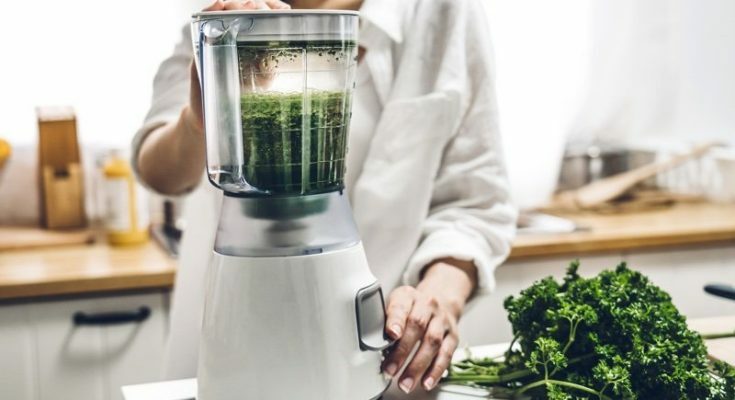 Parents who opt to feed their child a blenderized diet will need to use a commercial-grade blender so that the food is smooth enough to go through a feeding tube. Here are a few health benefits that a blenderized diet offers. Food is oftentimes associated with social events. For a tube-fed child, this means that mealtimes and holidays can be awkward. When a child is on a blenderized diet they can eat real food along with everyone else. Children who don’t have any food allergies can even eat what everyone else is eating. For example, if dinner consists of roast beef and mashed potatoes, mom can simply throw some of it in a blender and give it through the feeding tube. Some children don’t tolerate commercial formulas very well. These children often end up having digestive issues, such as constipation, diarrhea, or vomiting. These digestive issues can make it hard for a child to gain weight and maintain proper nutrition. Parents find that when slowly making the switch from commercial formulas to a blenderized diet, their child’s digestion improves dramatically and they feel better in general. Whether a child is in a wheelchair due to a disability, or they have a digestive disorder, if they have a feeding tube, a blenderized diet can most likely help to improve their quality of life.